Below are photos and video from the task force's January 30, 2017 meeting, which took place in the Judicial Council boardroom in San Francisco. 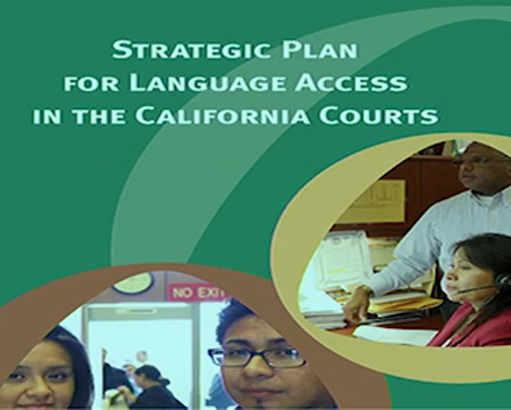 The Judicial Council's Language Access Plan Implementation Task Force will hold its next public meeting on January 30, in the council's boardroom at 455 Golden Gate Ave., in San Francisco. A live videocast of the meeting, as well as closed captioning (in English and Spanish), will be available via the Language Access webpage. You can also listen in to the meeting by dialing 1-877-820-7831, Passcode: 6139679. Approve minutes from October 17, 2016, Language Access Plan (LAP) Implementation Task Force (ITF) open meeting. Task force chairs will provide updates regarding LAP implementation and an overview of today’s meeting, including subcommittee development of the task force's 2017 annual agenda. The subcommittee chairs will provide a brief update on LAP Phase 1 and/or Phase 2 projects and present on language access products. The National Center for State Courts will present on California’s progress on expansion of language access services and what we can learn from other states. The task force staff will present on the tracking of language access metrics to reflect the implementation and expansion of language access services in the California courts. The Translation, Signage and Tools for the Courts Subcommittee will present a report with recommendations and best practices for courts regarding current practices relating to building design, signage and wayfinding strategies.